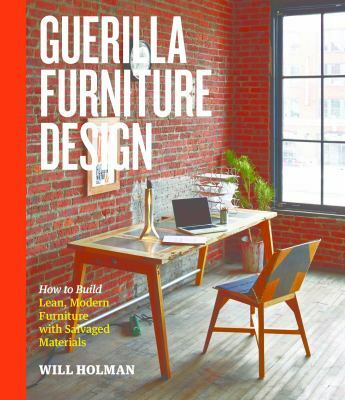 Guerilla Furniture Design is an innovative collection that features 35 simple, inexpensive projects that you can make from salvaged and upcycled materials — cardboard, metal, plastic, and wood. The projects include tables, shelving units, chairs, lamps, and more, in a variety of styles. Many are stackable and easily portable, most can be made in a weekend, and all include instructions for disassembly and disposal when you’re ready to repurpose the materials. One man’s junk…can still be that dude’s junk. But oh, it can be repurposed into something functional and amazing! -As of June 2008, there have been more than 1 billion personal computers distributed worldwide. -The average American goes through a cell phone every 12 to 18 months, leaving 700 million sitting in desk drawers for a rainy day. Those are just the appliances you’ve used recently. How about your rotary phone, external modem, parallel port scanner, etc? Enter the new book 62 Projects to Make with a Dead Computer (and Other Discarded Electronics) by Randy Sarafan and you can construct an iMac terrarium, RAM money clip, and a scanner compost bin among many useful inventions. I mean, what else were you planning to do with that stuff? Ed Begley Jr has been an enviromentalist since it was cool the first time in the late 1960’s. His wife Rachelle knew this about him when she married him, but she also likes style. 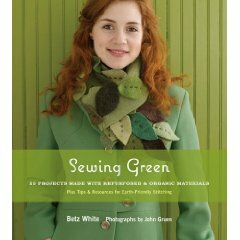 As the review on the back of the book says “His environmentalism and her design savvy combine to create a guide to going green that keeps the chic in eco-chic”. 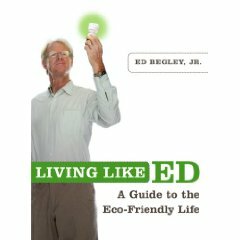 In Living Like Ed, Begley discusses how to make your life more efficient and environmentally friendly. In your home this can range from just changing the furnace filters, to using the new energy efficient appliances, to installing state of the art air filtration and purification systems. Begley discusses his transportation hierarchy – walking, biking, public transportation, and electric or hybrid car. His recycling ideas were good reminders to me. Begley makes it a point not to buy products if the recycle number on the product is not accepted for recycling in his area. He also discusses home energy including solar panels and home wind turbines. 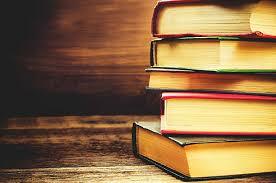 The book ends with an examination of food and clothes, which was enlightening too. This fun, accessible book will have you “living like Ed” (to one degree or another) in no time!